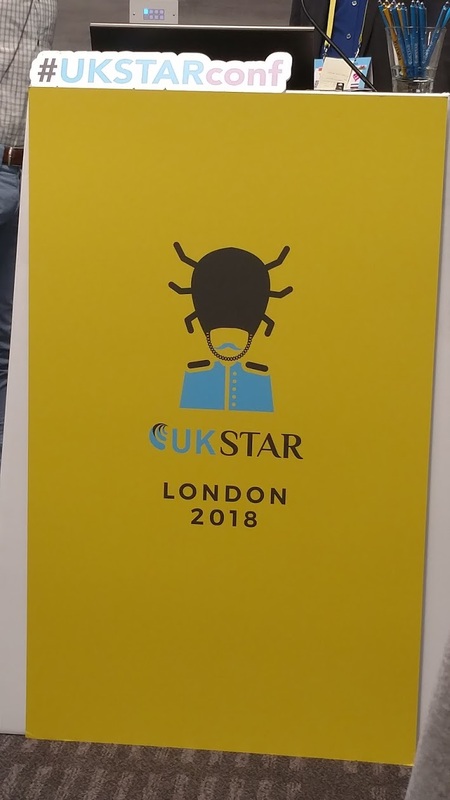 Right, since I’m sat at home on a Wednesday all bunged up with lurgy, let’s try and get some thoughts down about UKSTAR 2018 before I blow them out of my nose. I’m not a huge fan of travelling, mainly due to not liking not knowing exactly where I’m going, and what’ll happen when I get there. While both traveling and testing are about encountering new things and making the unknowns known, travelling makes me nervous. However, the reality usually is mundane and straightforward, and in this instance I was accompanied by my awesome colleagues Sindu Kumar and Jehane Penfold-Ward who kept me safe. 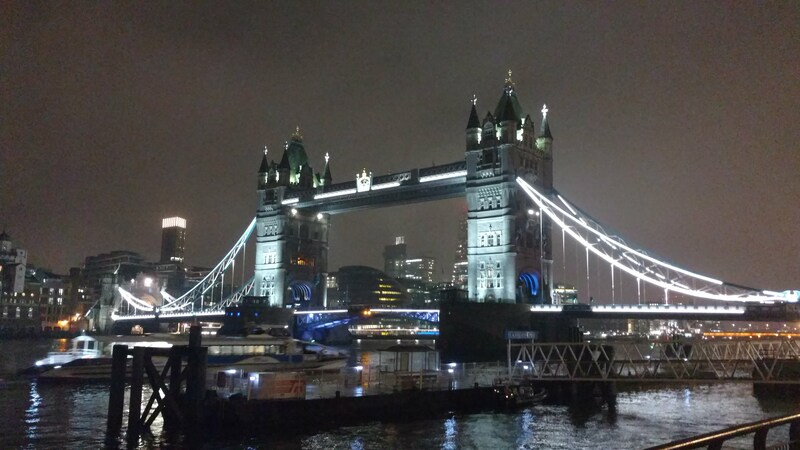 Plus London, in small doses, is pleasant enough. 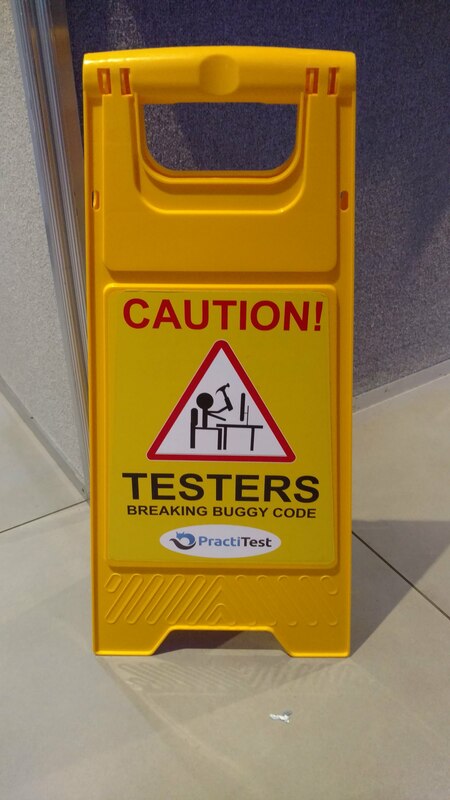 I’ve been to a couple of other conferences, but this was my first time at a testing conference. 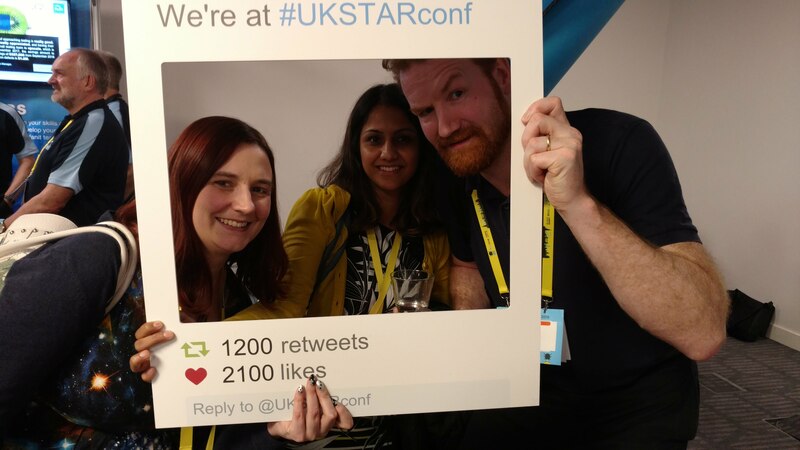 There was a great vibe around the event; lots of positive energy, so must give many thanks to the UKSTAR organisers and the committee for putting on such a great event. It was great to be around people who talk my language and who care enough about testing to find the time and resources to attend the event. It’s a stereotype that people in IT do so because it’s easier talking to computers than people. 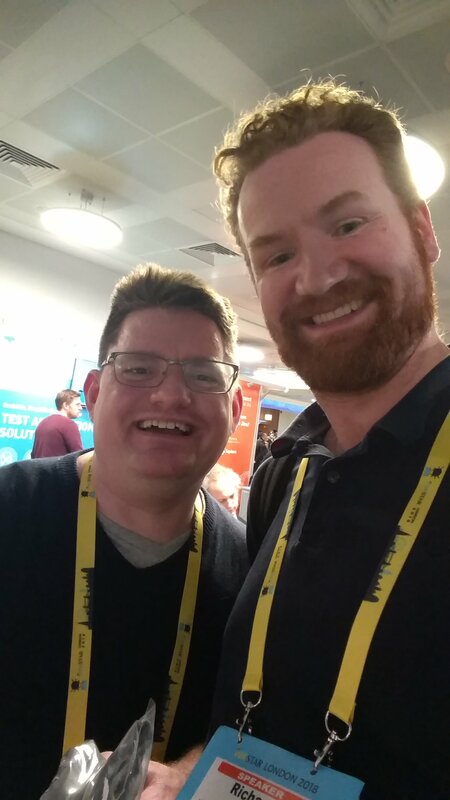 I’m certainly an introvert usually, but being surrounded by fellow testers, I certain felt more at home than I usually do in a room full of people. One big takeaway for conference n00bs is; introduce yourself to people. It might feel unnatural – certainly does for me – but a room full of testers all there for the same reason you are is about as friendly and non-intimidating an environment as you’re likely to encounter. 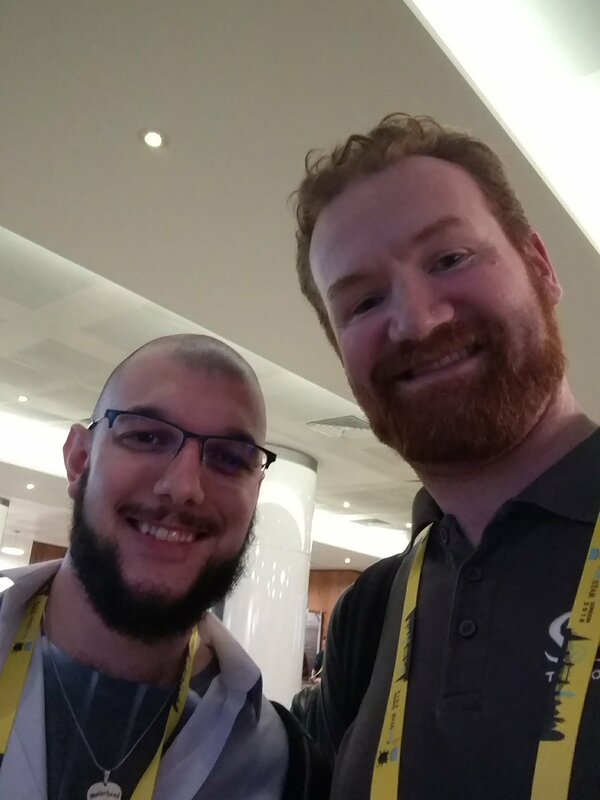 Thankfully, I did manage to meet some people, I think in every instance because they had the guts to come and say hello to the giant with the beard. 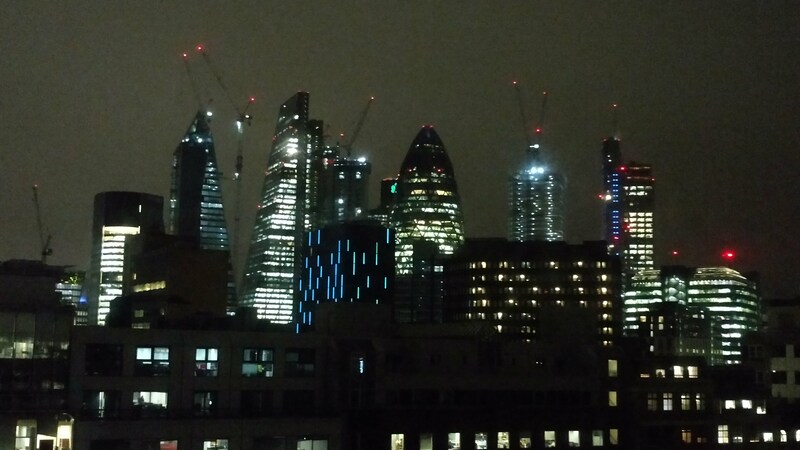 So, kudos and thanks to Dan Billing, Ali Hill, Victor Slavchev, Jit Gosai, Stuart Crocker and James Thomas (and, I’m sure, others) for introducing themselves. It was lovely to meet you all. In this, I didn’t learn one of the points I made in my talk; if you only know one thing that another person doesn’t know, it’s worth talking about it. So this is a reminder to be brave and introduce yourself. You will both benefit from making that connection, now and in the future. You owe it to future you. A little interaction to underscore the point; at one point, I think in a workshop, I told someone my twitter handle, and they exclaimed “Oh, you’re that Richard Paterson”. I’m not any sort of famous, so we’re all really in the same boat. All of a sudden it was real, not just a possibility. Fortunately, the topic of my talk was about the process of deciding to propose, and eventually delivering, a conference talk. Every thing that I did in preparation was material for the talk, and vice versa. I had my initial slides put together about 9 months before my talk, and I delivered in internally to my testing colleagues in a meeting where we launched our own internal test conference. 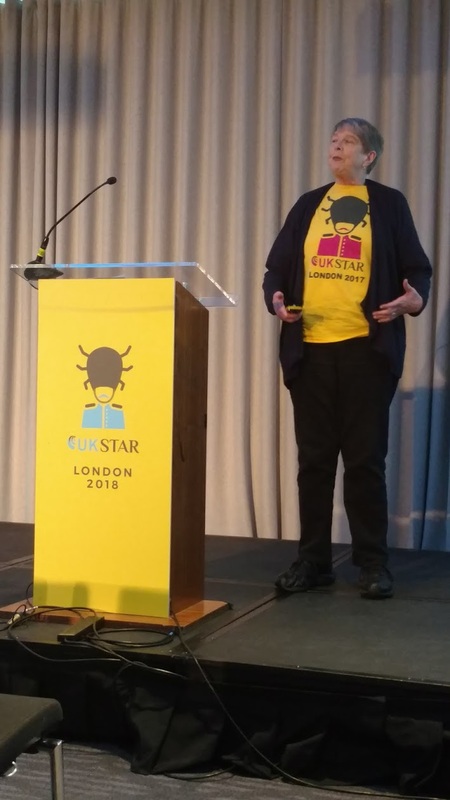 The aim was mainly to embolden them to put forward ideas for our test conference, but it also gave them – fine testers all – a chance to find the bugs in my presentation. 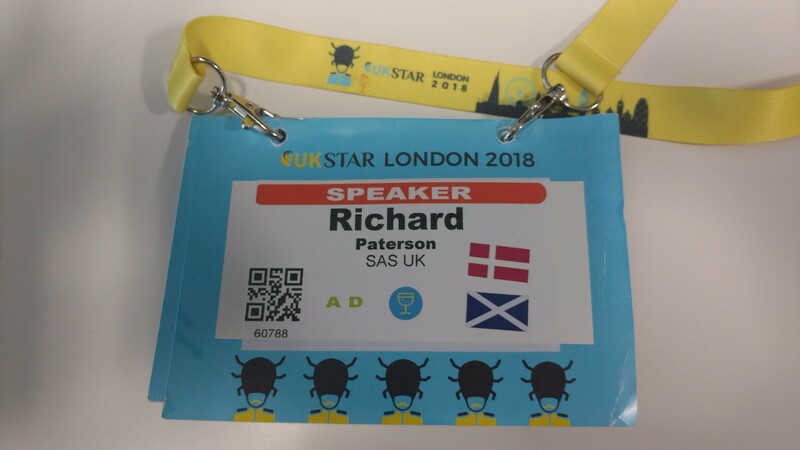 Over the months leading up to UKSTAR, I endeavoured to practice my talk every week. I setup a meeting room to what I imagined the real thing would be like. I put my slides up on the screen behind me. I video’ed each run-through using Webex on my laptop. After each run through, I recorded my thoughts on how it went, and what needed improved. It was this preparation and visualisation over several months that meant that my heart only started beating faster about 15 minutes before my talk. 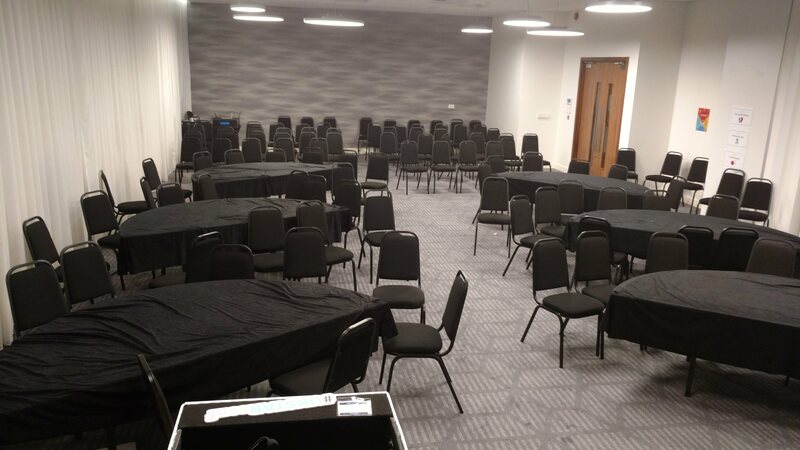 Despite my preparation, standing in front of a room full of people looking at you is not the same as standing in an empty meeting room, no matter how hard you visualise. 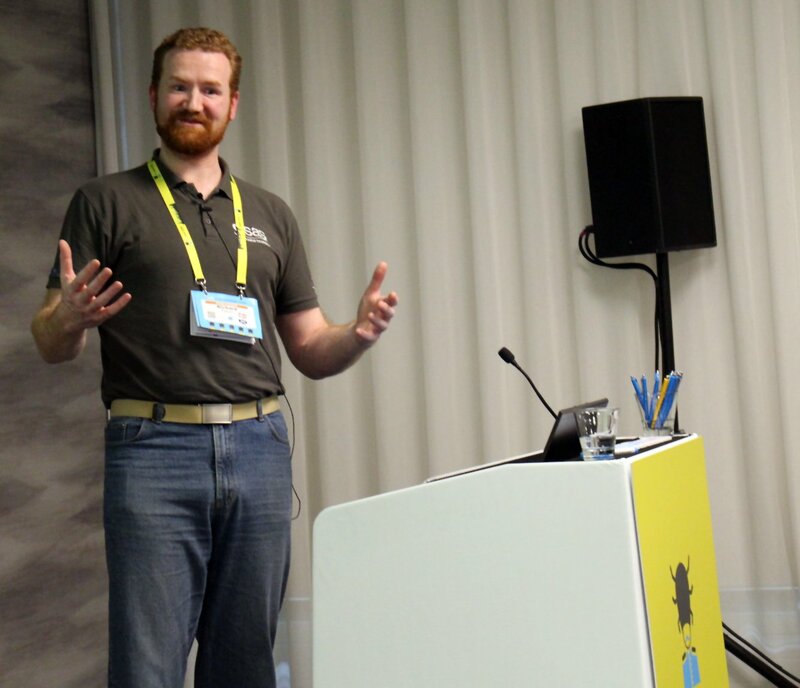 In retrospect, I feel like it wasn’t until halfway through my talk that I felt in-the-flow enough to stop looking at the ground and engage with the audience, and that helped. I made eye contact, I saw nods and smiles, and that helped me realise that I was actually doing it, and people were listening. It was great to get lots of questions at the end, although I felt like I didn’t answer them that well; one of many things to improve upon next time. And several people were kind enough to say hello afterwards and say nice things, which was much appreciated. My thoughts on my own journey from deciding to try to actually delivering the talk? A very worthwhile trip, with lots to learn along the way, and a great payoff at the end. It’s a journey I hope to make again. All the speakers did a great job, and I picked up at least one pearl of wisdom from each, usually lots more than one. The standouts for me were Hristo Gergov, Viktor Slavchev, Yann Person, Dorothy Graham, Isabel Evans and Harry Girlea. A wide variety of experience and experiences in testing represented. 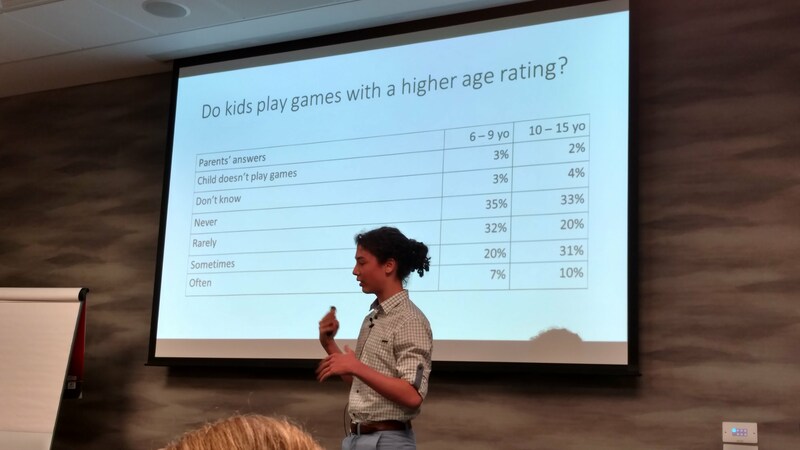 An observation worth making, which I also had at our internal conference, is that the most engaging speakers are those who let their own personality shine through in their presentation. I don’t want to feel like you’re just saying words, such that it could be anyone up there. I want to hear you imparting your knowledge and experience in your own words, in your own style. Following on from his workshop with Alan Richardson, Gustav Kuhn’s keynote was a wonderful mixture of magic and psychology, reminding us that, while our brain is our first and most valuable testing tool, it’s not always paying as much attention as we’d like, and what we think we perceive may not actually be what happened. 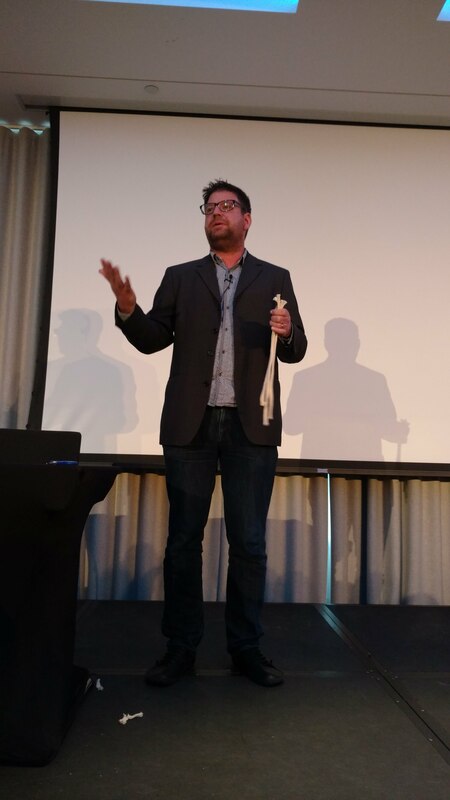 Michael Wammes’ keynote was a great reminder that we’re doing all this for humans – ourselves, but mostly our customers. Tech is there to enrich and improve lives, not confuse and frustrate. Like the conference, it’s about connecting people. As someone in a testing group who thinks we’re doing good testing, I’m very keen to check for any signs that I’m lying to myself, that we’re in fact fooling ourselves. Conferences – and other resources – are vital to give you a sense of what the industry is doing, to give you a benchmark for what you’re doing and, more importantly, not doing. As a first time conference-goer and first time speaker, it was a really enjoyable experience, made so by my fellow testers. So, here’s to you all, thank you, and hope to see you soon.